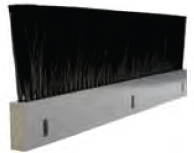 Sealeze provides brush-based solutions for a wide variety of industrial applications. 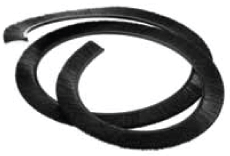 For more than a quarter of a century, Sealeze brush products have reduced costs in manufacturing processes and improved the performance of our customers' products. Our brush can be found in a range of applications, including shielding on machine tools, guides on conveyor systems, cable management and air seals in electronic cabinets, sweeping applications in turf care and much more. 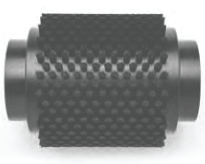 We manufacture each type of brush in a variety of sizes, construction materials, and filament types and diameters. Our brushes and holding systems can be custom designed and manufactured to exact specifications to meet your specific needs. Select an application below to learn more about how Sealeze's custom brush solutions can help your business. At Sealeze, we constantly strive to provide the highest quality products and services, continuously monitoring and improving our processes and performance to make sure we meet or exceed your expectations. Our ISO 9001 certification ensures that we relentlessly review our processes and activities to maintain the quality and service our customers expect. For information on how to select the most appropriate brush construction and materials for your application, see Selecting the Right Brush.